Reason I choose it: It was recommended by Gypsy of Jasper on her blog so I decided to read it. 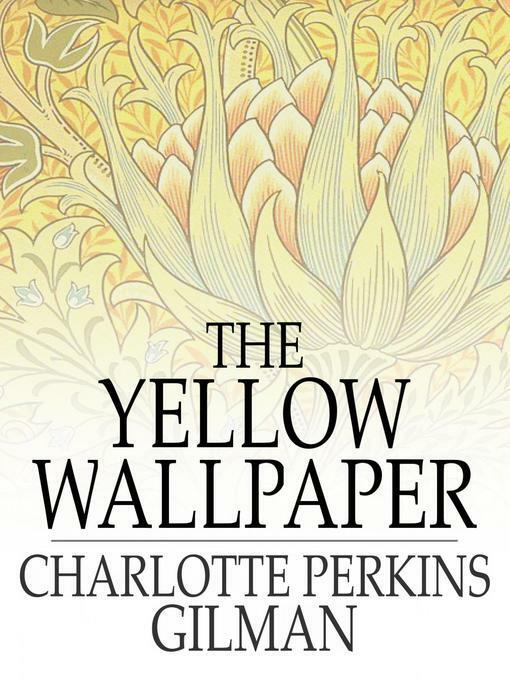 First published in 1892, The Yellow Wall-Paper is written as the secret journal of a woman who, failing to relish the joys of marriage and motherhood, is sentenced to a country rest cure. Though she longs to write, her husband and doctor forbid it, prescribing instead complete passivity. In the involuntary confinement of her bedroom, the hero creates a reality of her own beyond the hypnotic pattern of the faded yellow wallpaper a pattern that has come to symbolize her own imprisonment. Narrated with superb psychological and dramatic precision, The Yellow Wall-Paper stands out not only for the imaginative authenticity with which it depicts one woman's descent into insanity, but also for the power of its testimony to the importance of freedom and self-empowerment for women. I read this book twice, the first time I read it in bits throughout the day. The ending confused me some as I expected something completely different so I didn't at all get it. So I started again and it took me about 20 minutes to read, I enjoyed the book so much more the 2nd time but still the ending didn't quite do it for me, I know what happened but I guess I didn't expect it. The writing style is however really good. We studied Charlotte Perkins' case of depression in one of my classes (I study psychology) and when I did some researches I found out about this book and really wanted to read it- Now that I know it's quite short I might give it a try :) Thanks for the review!